This just might be the cleanest organic mattress in the USA.Our 5-inch thick wool mattress consists of 10 layers of a thick Premium special blend of Wool padding Made in the USA with Pure Northwest Oregon/California.Premium Eco Wool® certified organic, therefore promoting healthful sleep.Our wool mattress has been made by skilled craftsmen for the last 30 years, in the same town, with alot of the same people or there now grown kids. The wool mattress will compress about 10% during the first 6 months of use, so The Organic Mattress Store, and the manufacturer recommends sleeping all over the mattress and rotating it on a regular basis. Thereafter,rotate it each week for the first 6 months, then 1 time a year after that.With proper care, this all wool mattress will last for several decades. 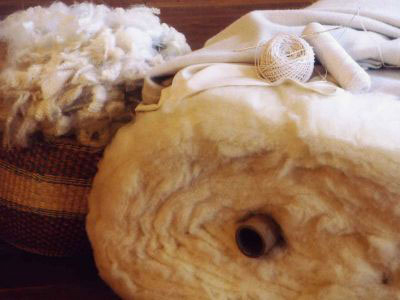 For more comfort, we recommend organic wool pillows and a wool mattress pad for keeping the mattress clean. For complete breathability and greater longevity, we suggest that the wool mattress be placed on a wood slatted frame.Or put it on any wood bed with slats. Or a metal bed frame with a wood foundation under the mattress. The mattress is very comfortable and offers firm, orthopedic support up to a certain weight range. For heavier weights, we suggest combining a 2 or a 3-inch all premium wool pillow top, or a 4-inch high Natural Rubber topper, or both. You can build this mattress up to a level of plushness by using combinations of rubber or wool pillowtops. 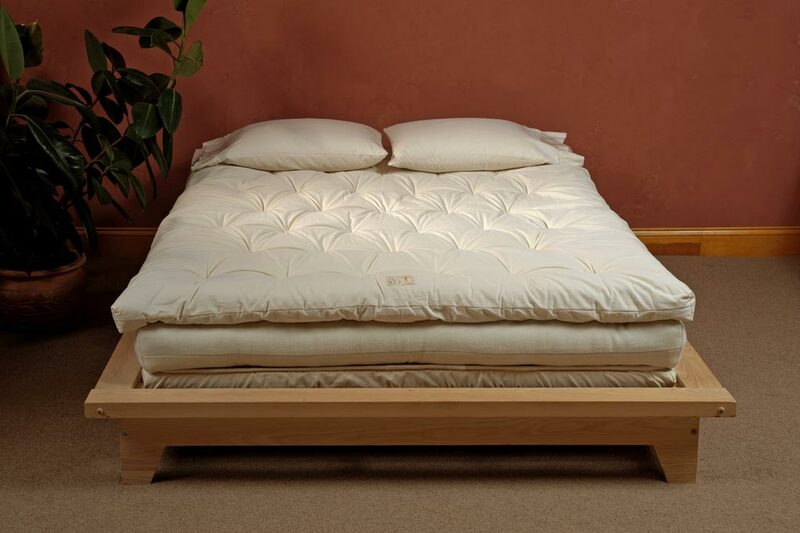 This deluxe system is exclusive for The East Coast Organic Mattress Store®. Organic wool ticking is tightly woven and moisture resistant. It forms the outer covering of the mattress. The guts to this mattress consist of10 layers of Premium Northwest Oregon/California Eco Wool® filling. The protective lanolin coating in wool makes it naturally resistant to combustion.Wool bedding is able to pass the 1633 federal fire laws without the use of chemicals.